Our mission at Hearth & Home is to give you (our customer) the finest products and service available today. 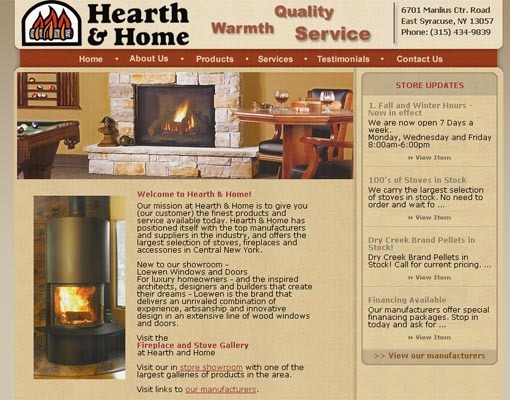 Hearth & Home has positioned itself with the top manufacturers and suppliers in the industry, and offers the largest selection of stoves, fireplaces and accessories in Central New York. New to our showroom - Loewen Windows and Doors For luxury homeowners - and the inspired architects, designers and builders that create their dreams - Loewen is the brand that delivers an unrivaled combination of experience, artisanship and innovative design in an extensive line of wood windows and doors.